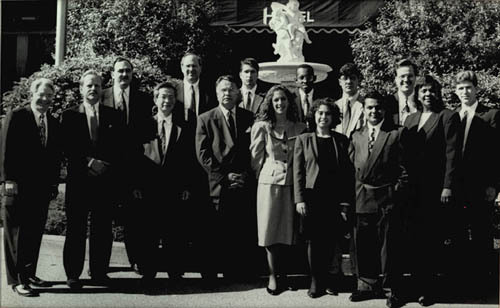 A new collection consisting of papers from the College of Business is now available. Established in 1906, The Carl H. Lindner College of Business has been a vital part of the University with approximately 2900 undergraduate and 600 graduate students. 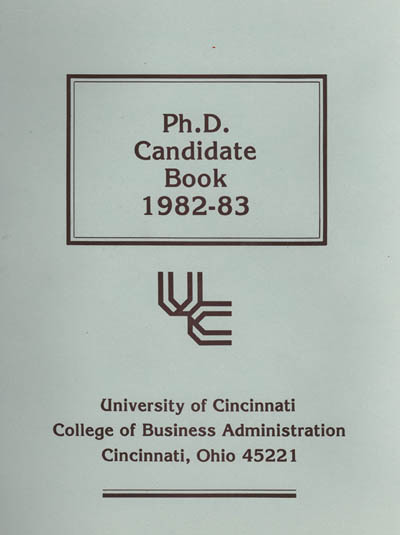 This collection contains documents from the mid 1970’s to early 2000’s ranging from revisions of various programs in the department such as the MBA and PhD program and materials from student groups. Also included in the collection are papers from the Alpha Rho Epsilon fraternity. The Psychiatryonline collection has grown from a group of 6 American Psychiatric Association journals to include 3 DSM-IV-TR® titles, 9 textbooks, the American Psychiatric Association Practice Guidelines, and patient information handouts. Search across the entire collection or browse individual titles. On the HSL website, find the journals in the eJournals list and the textbooks in the eBooks list. Theodore M. Berry (1905-2000) was a key figure in American civil rights in the 20th century, a man who marked his life with a formidable sense of justice. 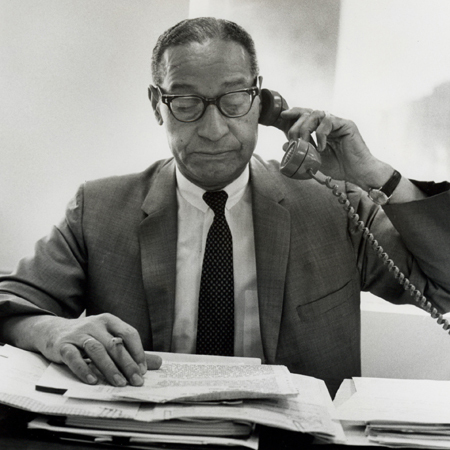 From the 1930s, when he graduated from the University of Cincinnati with bachelor’s and law degrees, until his death just before a new century, Berry worked tirelessly to promote racial harmony and served with distinction in President Lyndon Johnson’s programs for civil rights during the 1960s. Three more CampusGuides have been published! Nursing, Pharmacy, and Health Information Management are “hot off the press”. The transition to CampusGuides is well underway. The Health Sciences Library “Electronic Resources” topics are moving to the more user-friendly, robust CampusGuides interface during the 2011-2012 academic year. Experience the new and different look and feel. CampusGuides incorporate search boxes, RSS Feeds, embedded media, surveys and can be easily accessed on mobile devices. More topic guides will be coming soon. As the topics transition to CampusGuides some will appear in the old interface and some in the new. The links on the Electronic Resources page will be changed to lead directly to the new topic guide as they are developed. We look forward to your feedback and suggestions to help make these topic guides as useful as possible. The Health Sciences Library is transitioning the “Electronic Resources” topics to a more user-friendly, robust CampusGuides interface during the 2011-2012 academic year. CampusGuides incorporate search boxes, RSS Feeds, embedded media, surveys and can be easily accessed on mobile devices. See the newly published Evidence-Based Clinical Practice Resources; the first example of a new and improved topic guide. Peek into the Archives – OK, we’re geeks. We love LiBlog, the UC libraries blog. When Kevin Grace shared a postcard from his personal collection showing the original University Building on the eve of its demolition, we were charmed beyond reason. Why? As Kevin writes: “Before demolition, a UC alum with fond memories of his alma mater requested of a friend that some bricks be sent to him. When he received them, Joseph Strauss placed them in a pylon of a bridge he was building. So, there is a little bit of UC’s heart in San Francisco’s Golden Gate Bridge.” Go ‘cats, indeed. Why is sleep loss linked with obesity? What are the holiday blues? And do I have them? Over 15 years ago, a government grant allowed the University of Cincinnati to create the Ohio Valley Community Health Information Network (OVCHIN) which later evolved into NetWellness. NetWellness, then a collaboration between UC, The Ohio State University, and Case Western Reserve University, is a non-profit consumer health website devoted to high quality, unbiased, scientifically sound information. Professionals from all three universities create and evaluate all of information found on the website and offer an “Ask the Expert” feature, as well as descriptions of and links to myriad health and research topics. Two years ago, University of Cincinnati students and faculty celebrated the sesquicentennial anniversary of Charles Robert Darwin’s seminal work, On the Origin of Species. The celebration was a collaborative community educational program for greater Cincinnati that included not only UC but also Xavier, NKU, Mt. Saint Joseph, and Thomas More College, as well as the Cincinnati Museum Center, the Cincinnati Zoo and Botanical Garden, and the Public Library of Cincinnati and Hamilton County. Now, the Archives and Rare Books Library holds the collection documenting this unique celebration’s planning and realization.